This eye-catching flower basket is arranged with 24 hot fresh cut pink roses, 6 pink lilies and brighten up with yellow mums. 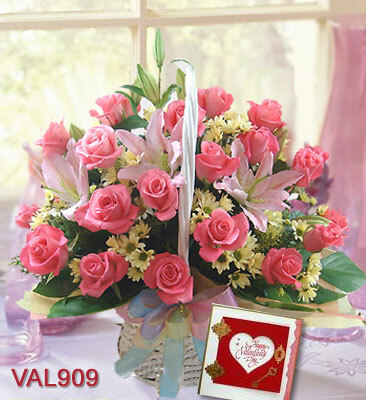 Your gift comes with a free Greetings Card to convey your message to mom. Believe me, she really wants this stunning flower basket!